As of the 17th June 2013 the DBS will no longer automatically issue a copy of the applicant’s DBS Certificate to the Registered Body. This is a decision that had to be implemented due to a change in law. This change - part of the government’s aim to put the individual in greater control of their own data - means that that DBS Certificate will ONLY be sent to the individual on whom the check was carried out..
hrbc are an online service provider and will get notification that Disclosures have been issued, the Disclosure numbers and dates, and notification whether it is clear or contains conviction information. Employers will have to request to see the applicant’s Disclosure to check the content and eligibility for the role, since only the Applicant will receive the Disclosure Certificate. In order to confirm that a Disclosure Certificate is the original we provide details on the security features on the Disclosure Certificate to ensure that it has not been forged or tampered with. Note: The security features for a CRB certificate issued before 1 December 2012 are the same as for the DBS certificate. 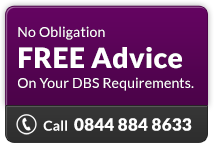 A DBS certificate only contains information from a DBS check on a certain date and for a particular purpose. Employers can accept a previously issued certificate at their own risk if they don’t want to carry out a free of charge status check. It’s also up to the employer to check that the applicant’s identity matches the details on the certificate and that it’s the level and type for the role the applicant applied for.